…in a safe, simple and reliable way. We also provide Rapid Application Development for those who are looking for innovative solutions for complex business requirements in a short development cycle. 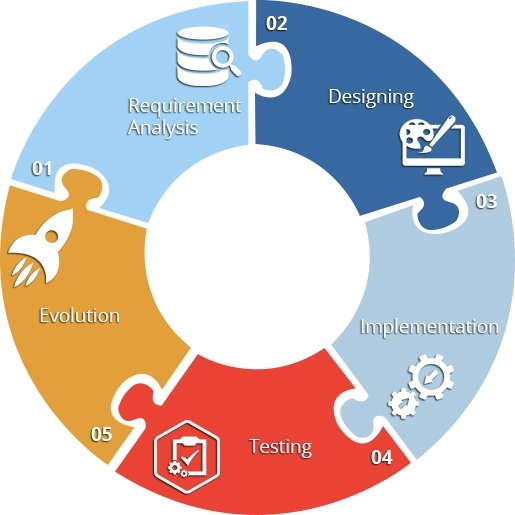 Another major development process we follow is for short term open source projects, is the WaterFall SDLC (Software Development Life Cycle) where there is no iteration or fragmentation of tasks but a simple and systematic sequence beginning with your requirements and ending with our solution. MSP Concepts suggest best way to describe how we works. Its good to know how we develop software application, design websites and develop web application for your project with the used of latest technologies., Check Software Development Process, Web Application Design and Development Process at MSP Concepts. Have a question about how we work? Speak with an Expert now!